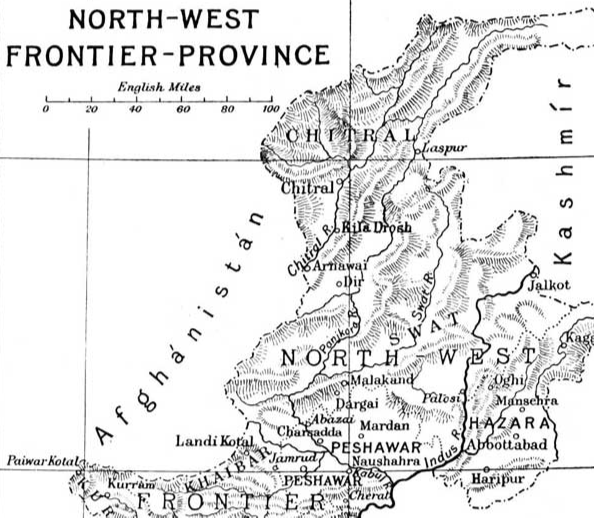 Although France is currently the centre of attention in this war, the North-West Frontier continues to require policing, in order to thwart German efforts to threaten British power in India. I arrived at Peshawar to find the regiment had marched out the day before and orders awaiting me to command the Depot. Knowing how lively an affair an OD dinner can be, I am not surprised they were astonished! Today is the second anniversary of the death of Lieut. 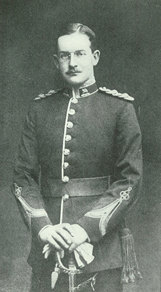 Roderick Haigh (Queen’s Royal West Surreys). Thanks to his bequest, which paid for our shooting range, the boys will be competing for the Roderick Haigh Cup at the end of this term. He was a noble man, who saw it as a privilege to die for his country. One cannot guess at the number of shells that daily pour down on our troops on the Somme. 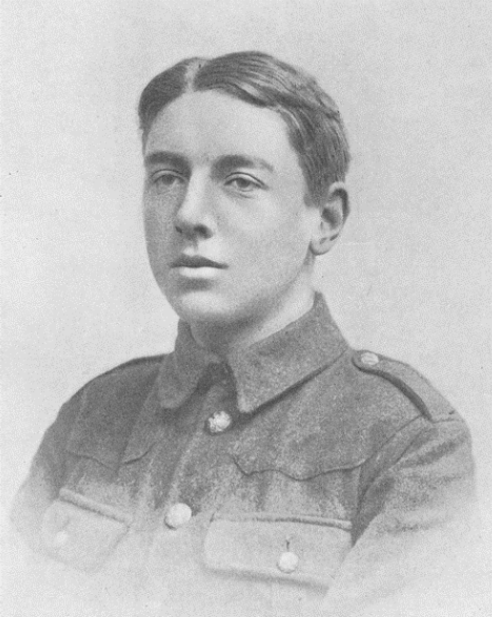 I am very sorry to have to relate that John has been killed near Flers by one such shell on 10th October 1916. “We had just come up by night to the support line and I had just started up with a working party. John had gone to his dug-out to get some rest; we were being heavily bombarded, and a high explosive shell burst right on the top, destroying the place and killing him instantaneously. I remember Johnnie as a good-hearted, merry little fellow with a keen sense of humour. We went on several bicycle expeditions with the boys to his home and he always enjoyed showing us around the Zoological Gardens in the neighbourhood. Although he failed to impress Winchester quite enough for them to offer him a place, he won a scholarship to Radley and thereafter a Mathematical Exhibition to Corpus Christi College Oxford – the first Radleian to have won a Mathematical distinction at the University for many years. 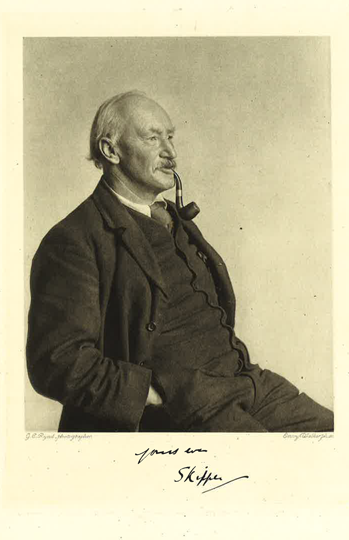 £2300 to the President and Fellows of Corpus Christi College, Oxford, to found a scholarship or annual prize in memory of Arthur Elam Haigh (his father, a Fellow of the College). £1000 to the Governing Body of Leeds Grammar School to found a scholarship or annual prize in memory of Arthur Elam Haigh. £500 to the Headmaster of Winchester College for some purpose as he may determine to assist the Winchester College Mission. £500 to the Headmaster of the Oxford Preparatory School to supplement the Exhibition Fund, or for any other purpose he may determine. £30 to the Oxford Women’s Church of England Temperance Society and £20 to the Oxford Surgical Aid Society. £500 to the officer commanding 2nd Battalion Royal West Surrey Regt., for investment as he may determine and to apply the income in the purchase of instruments, music etc for the drum & fife band, or for any other purposes he may determine. Roderick also left a number of bequests varying from £50-£10 to warrant officers, non-commissioned officers and men of his regiment ‘as a token of gratitude’ In the event of their being no longer alive, the gifts will go to their next-of-kin. Part of Roderick Haigh’s bequest to the OPS has been used to pay for the miniature rifle range and the Roderick Haigh Cup will be shot for annually, and will be won by the best individual marksman in a competition between Day-boys and Boarders. The range has also been very useful to the 4th Territorial Battalion of the OBLI (Ox & Bucks Light Infantry) and to the Oxford Volunteer TC. Officers home on leave from the front and others in training have also used the range for revolver practice. In fact it has been a great success. The rest of the money may be used to help the sons of Oxford dons attending the School, who, on account of the war, or for other reasons, may need it. We have been notified of the death of another very dear Old Dragon. Roderick has been killed; his crusade has come to an end. He was in the last charge of the 22nd Battalion at Klein Zillebeke (also known as Hill 60) near Ypres on the night of the 6th– 7th November, when the Brigade, only 700 strong, attacked and carried the German trenches, capturing three machine guns. “We had the order to attack some trenches at dawn. I saw our Adjutant (Lieut. Haigh) cheering the men. We had only advanced a few yards when the enemy saw us and fired ‘Rapid Fire’ at us, and then we charged through a terrible hail of bullets, and got the first line of trenches. Then Mr Haigh gave the order to advance, which we did, quick; and we took another trench, and then were told to get ready again, and we took the last trench; but when we got into it we found it was a running stream. The Adjutant with myself and 14 others got into this ditch only to find that the Germans were only 10 to 15 yards away, strongly entrenched. We were firing point-blank range at each other, and all the time the Adjutant was standing up in the trench, head and shoulders showing. I actually stopped firing to look at him and admire him. He was using his revolver with great effect, and kept saying to encourage us, ‘That’s another one I hit.’ Oh, he was a cool man. ‘Why then, God’s soldier he be! 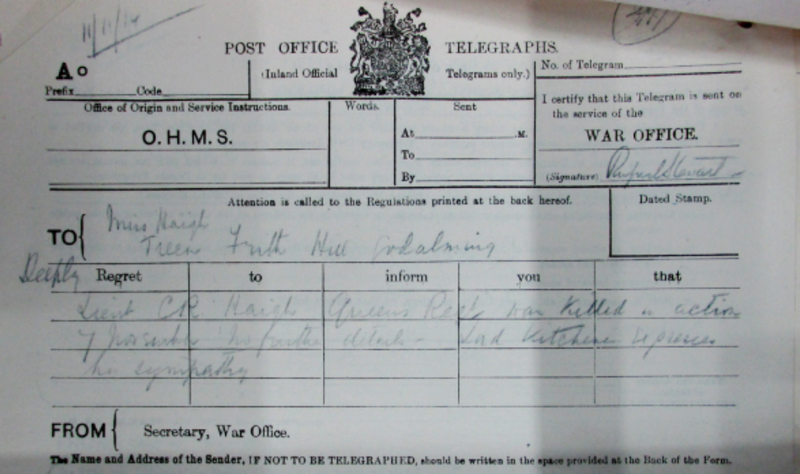 Lieut CR Haigh Queens Reg’t was killed in action 7 November no further details – Lord Kitchener expresses his sympathy. Treffry Thompson is not only an Old Dragon but a sailing companion. Some of you may have read of our voyages together in the ‘Log of the Blue Dragon.’ He is kindly sending us extracts from the diary he is keeping. 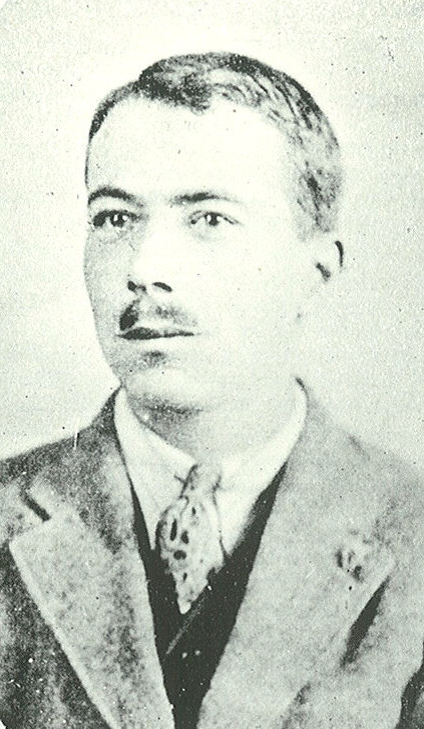 Having been a casualty house surgeon at the Radcliffe Infirmary in Oxford, he joined the RAMC. At present he is attached to the headquarters of XV Brigade with the Royal Horse Artillery (RHA). He writes of the battle which has been going on at Ypres since mid October. “It might interest you to know what sort of things the Germans fling into Ypres. One of the RAMC men was walking outside a large house on the outskirts of the town, which had been taken over for a hospital, when a large shell burst some distance away, and the flat base only of the shell came back and hit him on the foot. This flat base was 16 inches in diameter and weighed 93 lbs., so that the whole shell probably weighed about 800-900 lbs. These evidently come from large howitzers a very long distance off, as one never hears the bang of the gun, but suddenly a rushing noise, just like that of a train in a tunnel, ending in a mighty crash, which even 3-400 yards away shakes the ground and trees, and when they fall only 50 yards away, as a couple did this morning, they make the whole house rock.